Streamline technology management and get the support required to increase profitability, reduce costs and improve client satisfaction. Our Managed Services leverages proven processes and investments in enterprise-class technology to build a highly secure, stable and responsive infrastructure using the same strategies employed by Fortune 500 companies. As a managed service provider, we take up, end-to-end accountability and ownership which lowers your risk. MetaOption’s Managed Services offer you the flexibility and enable you to concentrate on your core business instead of handling day-to-day operations and technology issues. With this, you can take advantage of the economies of scale along with flexible operating models, personalized as per your operating hours, and other specific needs. MetaOption provides end to end application maintenance and support services for tailor-made applications as well as for platform-based solutions. Our application support and maintenance services include enhancements, ITIL services, transition, knowledge transfer, 24*7 support, L1, L2 and L3 support, production support, service help desk, monitoring, etc. While you keep your eyes focused on your client, MetaOption helps you in sustaining high service standards day in and day out. With rapid advancement in contact center technology, contact centers facing challenges like managing complexities and costs, lack of proper resources to support the environment and to monitor the workforce. Servicing in areas related to change management, service request management, patch and release management, monitoring services, hosting services, continuity services, and performance management. MetaOption ensures that your contact center is functioning, fully optimized and fully utilized on a daily basis. Our core highlights are proactive monitoring and support of your contact center infrastructure to maximize your performance and ensures quick resolution of issues, along with system updates and upgrades and a knowledge base with proper information and training. We can manage your platforms and devices across the infrastructure, network, and cloud to provide a single point of contact, with round the clock monitoring and help to ensure high availability. Cloud Managed Services enable your organization to enhance competencies that are in need. These services optimize recurring in-house IT costs, automate business processes, transform IT systems, and allow you to achieve the business objectives. 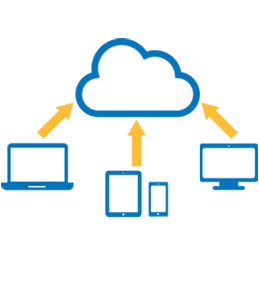 MetaOption offers end to end cloud services that include: Cloud Consulting Services, Cloud Hosting services, Cloud Migration services, and Cloud Support services. Cloud Consulting Services. Our cloud readiness assessment would help you to identify the right strategy and process for cloud transition based on your business needs. 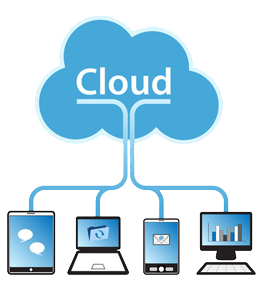 Cloud Hosting Services. We help organizations to host their new applications in the cloud. Based on the application functionalities, we define an optimal strategy for cloud deployment. Cloud Migration Services. Based on the thorough assessment, we assist you in migrating your existing applications and data servers to the cloud. Our experts rightly do the necessary changes to your application, thus ensuring auto-scaling and fault tolerance. MetaOption follows a multi-layer security model, to ensure data security while migrating to the cloud. Cloud Support Services. We provide 24/7 support and maintenance for the apps and data centers, already deployed in the cloud, to keep data centers up and running with zero downtime.